What if I told you to your face that you could purchase a $25 bottle of wine for $9 to $12? How about a $75 bottle of wine for $30? You'd probably call the cops because an uninvited strange man has suddenly appeared in your home, but suppose you got past that and listened to what I was saying. You'd either say I was crazy and to get the eff out, or you would ask me where you could sign up. Through 90+ Cellars these things are possible. This is what they do. That $25 bottle that you can get for $9 to $12 is their Lot 53 Cabernet Sauvignon from Mendoza, Argentina. This is one of the "lots" that they've been releasing with great success for years. That $75 bottle for $30 was their Lot 95 Super Cuvée 2012 out of Napa, California; a part of their Collection Series that features high end products on crazy deals just like that. 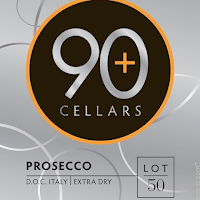 I've been a fan of 90+ since the very first time I tried their wines, which was probably soon after they were established. Hell, their famous orange sunglasses are my preferred facial accessory and optical protection from the solar intensity of the summer. They're so stylish and sturdy. Because 90+ is so awesome, the entire month of May this year is dedicated to them and I'll be reviewing plenty of their wine. So let's go over how they came to be and how they're able to sell wine at such a great discounted price. 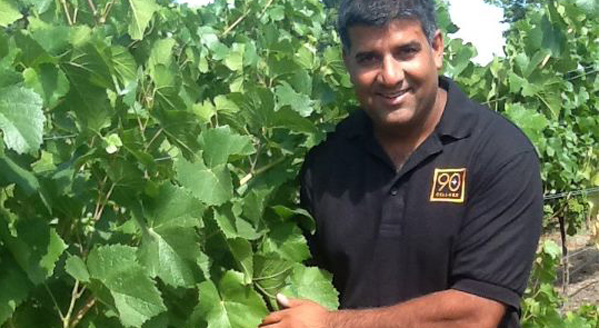 Kevin Mehra (image credit: thebeveragejournal.com) was already in the wine business when the idea for 90+ Cellars hit him. 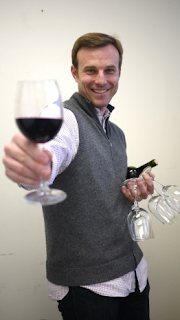 As a co-founder of Latitude Beverage Company out of Boston, producing the Ku De Ta wine brand, Kevin got curious and started looking around for extra wine that he could buy. 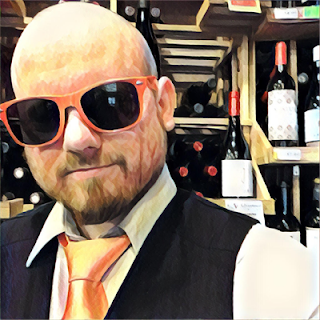 Being the recession of 2009, he found that wineries were sitting on enormous amounts of surplus wine that they just couldn't sell. LIGHT BULB! Much like Cameron Hughes (whom initially attacked 90+ Cellars, and has since gone under after some bad business decisions), why couldn't he buy this surplus wine to take it off of their hands, rebottle it under a new label, and put it on the market for less cost than what it would be from that winery? But it couldn't be just ANY wine; it had to be excellent wine. He wanted wines of high scoring and award winning pedigree. Because of this standard he had set, he found it to be harder to negotiate the purchase of this excess wine than it was to find it. Once he had a handful of interested partners, Kevin and Brett Vankoski launched 90+ Cellars. A "virtual négociant". Buy, label, sell. Things escalated quickly. In 90+'s first five years, from 2009 to 2014, they grew 580% and became the fastest growing wine brand in the United States. In 2012, Latitude Beverage Company burst onto the Inc. 500|5000 list at #551, the highest of any company in the wine, beer or spirits industry on that list. They also landed at #13 in the Food & Beverage subcategory and #20 in Boston. Latitude Beverage and 90+ Cellars are seeing continued sky-rocketing success and growth while remaining humble, personable, and true to their promise of superior quality. This year (2017) is the second year in a row that they've been named a Market Watch Hot Brand. 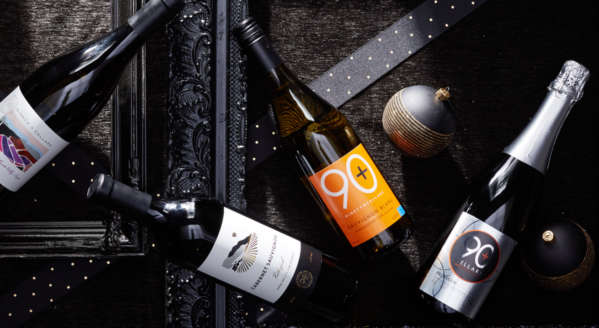 Although they do label the type of wine and its location of origin, part of the 90+ contract is that they will not give away the name of the winery that it's sourced from. This is greatly appealing to the wineries, because who would buy their label if they knew they could get it for less under the 90+ label? And the wineries are still getting paid to dispose of their surplus! Because 90+ won't tell you the source label, they give their wines a "lot" number. For example: like the previously mentioned Lot 53 Mendoza Cabernet Sauvignon and Lot 95 Super Cuvée, there's also the Lot 2 Marlborough Sauvignon Blanc and Lot 130 Russian River Chardonnay (both will be reviewed this month). If they bring in another Russian River Chardonnay from a different producer, it gets a different "lot" number. If they continue with that same Russian River Chardonnay into the next vintage, it keeps the "lot" number and the vintage changes. Not knowing the source label leaves a little mystery that some consumers are uncomfortable with. Most consumers, however, are just happy that they're getting great wine at a great price. This is also where 90+'s demand for a history of excellence, high scores, and/or awards from prestigious publications comes in handy. You're getting much better wine than you're paying for. And, I can tell you right now before we even get to the reviews, that you can trust the wine will be awesome. In case you were wondering, the guys at Latitude take several steps to make sure what you get is what they want you to get. They only work with wineries that have a reputation of being trustworthy. They keep samples of the wines that they tasted and approved to buy. That way when they get a new shipment, they can compare and make sure it's the same product. They use laboratory equipment to check the wines for impurities. Also, just an FYI, they only buy finished products and do not "back blend" anything themselves. 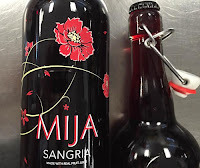 A few years ago, Latitude came out with the totally delicious Mija Sangria (I made it my July Wine Pick back in 2015) which is produced in upstate New York, and usually made as soon as a week before it's shipped out to sell on shelves. They recently came out with a canned wine brand named Lila. The Lila Pinot Grigio is part of the reviews this month. 90+'s social media accounts are amazing and approachable, and their public relations are incredibly accommodating to people like myself. I have grown to appreciate them even more in the past few months, as they did me a great favor to make my blogging life easier while expecting my second daughter (who was actually born a few weeks earlier then expected, on April 21st) by dedicating the month of May to them waaaaaay ahead of time so I could get May out of the way (that rhymed). Thank you, 90+ Cellars! You've got a great person working for you named Brittany. I hope you guys enjoy this upcoming month of reviews! You're in for some damn good wine! 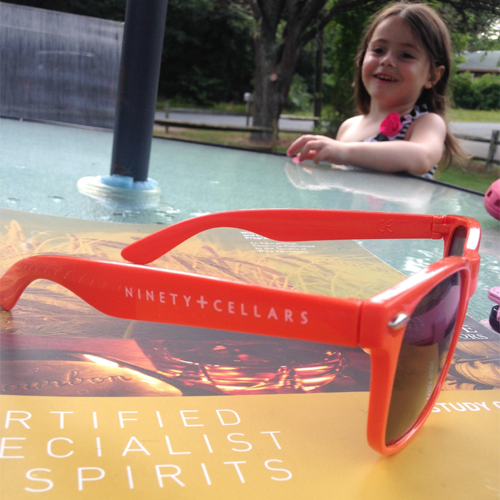 How 90+ Cellars Became the Fastest-Growing Wine Brand in the U.S.